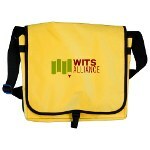 WITS » Start Your Own Writers in the Schools (WITS) Program! Start Your Own Writers in the Schools (WITS) Program! Writers in the Schools (WITS) at AWP 2012 in Chicago – Join the Movement! The Writers in the Schools (WITS) Alliance will present an exciting series of panels, meetings, and events at the 2012 AWP Conference in Chicago. Here is a schedule of all the WITS happenings. We will be in the Bookfair the entire time. Come say hello at Booth #609. See you in Chicago! Writers in the Schools (WITS) Alliance invites current and prospective members to attend a general meeting led by Robin Reagler, Executive Director of WITS-Houston. As student populations become increasingly diverse, most writing teachers work with bilingual students. We face specific challenges in creating an inclusive classroom community but ultimately celebrate linguistic difference through powerful writing and creativity. Panelists will discuss strategies for reaching all students, the challenges in navigating multiple languages in one classroom, and successes in creating a safe place for students to tell their own individual stories. Standing in front of a classroom and delivering inspiring and effective lessons doesn’t just happen. And just because you’re a great writer doesn’t mean you’re ready to be a great teaching artist in a K-12 classroom. But this panel will help you understand the path to becoming the teacher you want to be, that your teachers expect you to be, and that your students deserve. We’ll share tips and tricks of the trade and offer concrete advice for how to get the experience you need to succeed. WITS organizations have deep artistic roots, and may approach the teaching of creative writing in ways public school administrators and teachers misunderstand or find irrelevant to their concerns. How do we make the case for WITS programs as valuable partners in meeting schools’ goals for student learning, but still remain true to our artistic identity? This panel of school administrators and WITS leaders share real world ideas to strengthen outreach to school partners. With an endless supply of evolving technology, how can educators capitalize on innovative web platforms and social media to augment classroom teaching, inspire students, and showcase their work? In this panel, several administrators from writers-in-the-schools organizations share multi-media projects that marry technology and traditional teaching methods. These stories of “teachnology” touch upon best practices while considering questions of safety and authenticity. This panel will address what about the different MFA/CW program models is transcendent, what is common, and what is hindrance. We’ll discuss ways poets use, ignore, dismiss, or are damaged by aspects of each. What intersections are there amongst the MFA options? How does one take ownership of their track? Is an MFA necessary? Panelists will discuss why they did (or did not) pursue their particular terminal degree, and how those experiences inform their teaching practices in these programs now. For many writers, the business of promoting literature does not come naturally. Many literary organizations are led by writers for whom marketing is unfamiliar terrain. But some programs are finding surprising ways to connect with a larger public through low-cost campaigns to promote individual writers, literary arts education programs, memberships, and donations. How are some nonprofits thriving in the current economy while others struggle to keep the doors open from one day to the next? The panelists in this session, who represent presenting organizations, literary publishers, and writers-in-the-schools programs, discuss their strategies for weathering the financial storm by identifying different sources of funding, collaborating with other nonprofits and for-profit partners, and finding ways to maintain programs and services while cutting costs.